It is different for each one of us, at each different period. Prior to 9/11, we did not have to fight for erosion of our rights, now we don’t have to worry about them with Obama in place. ii) how we may have to cope should extremists from Republicans make a come back, the extremist among the republicans don't believe in peace, they believe in annihilation of any one who differs with them. iii) how to regain what we had before 9/11. Terrorism is a new phenomenon in the last 40 years slapped on to Muslims as a whole insted of the extremists who did it. I hope these would be our priorities – to re-establish respect, become known as participating and contributing members of the nation. We have to retire and our grand kids have to live here, it will be a great thing if we can see the goodness of money working while we are still alive. But we should consider making a difference before nature gets us out. Here are three events that can satisfy your desire to do good, it is laid out for you, just attend and support it. Every Muslim ought to be proud of this significant development of Contemporary Arab and Muslim Cultural Studies Institute. 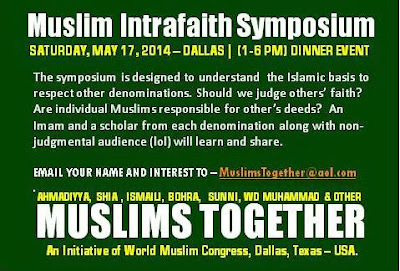 Here is an opportunity to correct information about Islam and Muslims to the world. 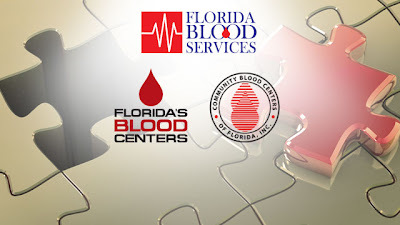 I hope you feel the responsibility to support this initiative. Parties continue, friendships continue and this must take off the ground as well and you must seriously consider attending this event. 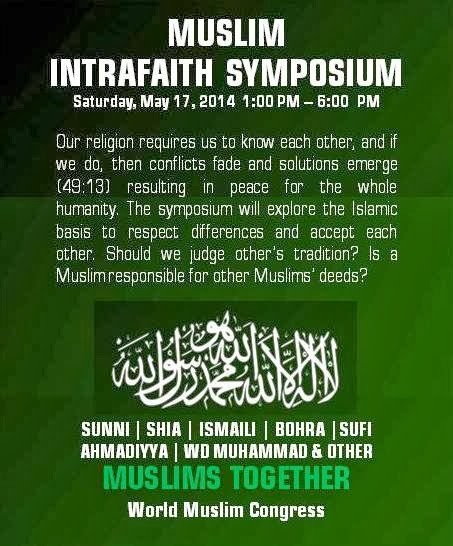 We should attend and support this event without being asked. You are different, so what? What are Muslims doing about it? Asalaamu alaikum, A moving tribute - as well as an extremely worthwhile project promoting mutual tolerance and respect -is being presented this Sunday and Monday. The Turtle Creek Choir will perform magnificent pieces from different religious and cultural traditions. 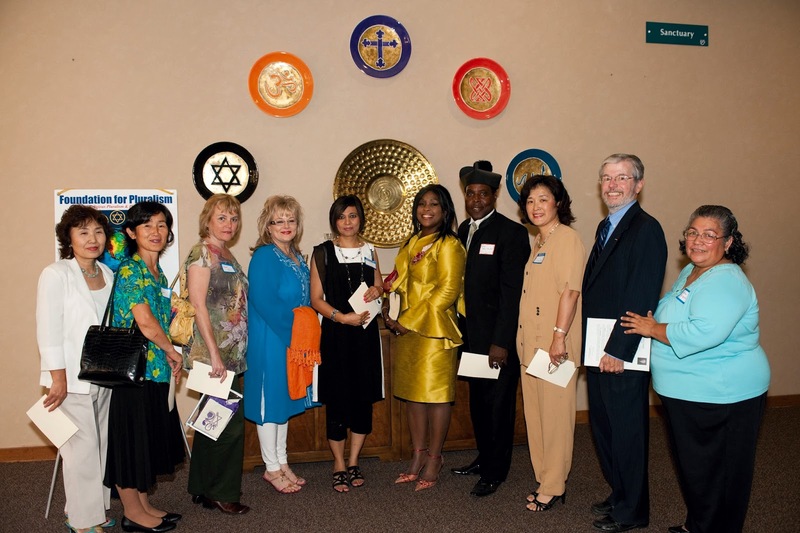 Representatives of diverse groups will share personal stories of hardships and triumphs. They are performing an Islamic song entitled Zikr - incredibly, these 200+ men will be singing Hasbiya Llahu Laa Ilaaha Illa Llah on stage at the Meyerson Symphony! Details are below. 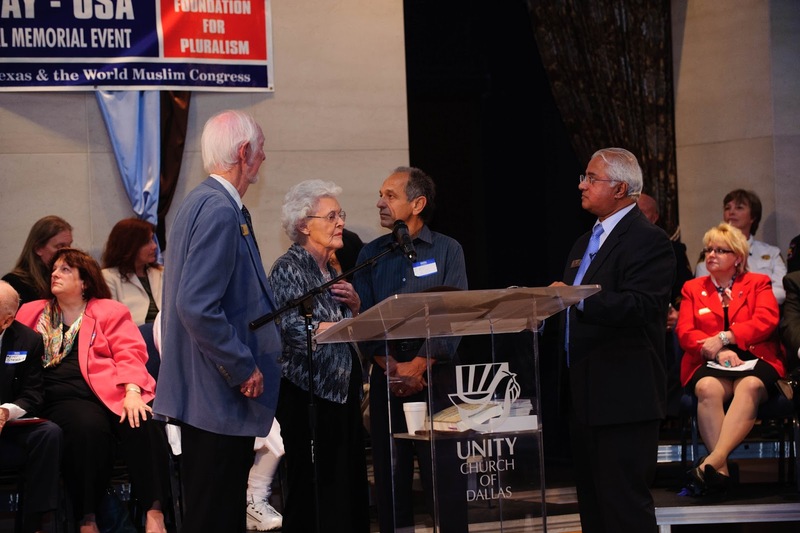 They are honoring us, and it would be gratifying to see strong Muslim attendance to honor them and show all types of people that Islam respects them, no matter their faith or background. I have a small part in it and would also appreciate your support and presence. Every one wishes a different Pakistan ; some one is actually doing it. some one is actually doing it. When Neil Armstrong stepped on moon on July 21, 1969 he made that famous statement. “That’s one small step for a man; a giant step for the mankind” Likewise, Shehzad Roy, renowned Pakistani pop singer and philanthropist has taken the initiative to facilitate a change in Pakistan through education for every Pakistani child. “That’s one small step for a child; a giant leap for Pakistan "
Shehzad Roy’s Zindagi Trust has started an innovative program to eliminate child labor in Pakistan . The “I am paid to learn” program takes working children off the streets and pays them to go to school. 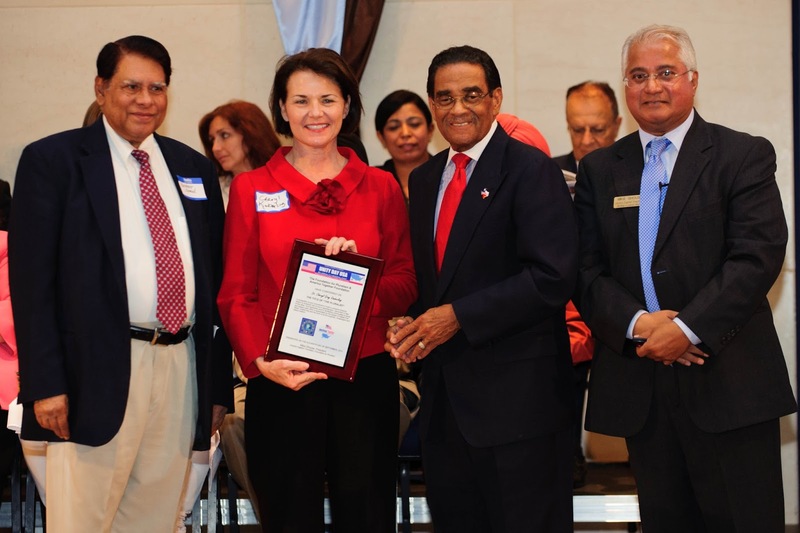 The Pakistani Americans have a lot of good things going for them, whilst there in despair, as you wished correctly, if some one had created solid educational institutions in Pakistan twenty years ago, Pakistan would not be facing some of turmoil it is going through. You do have an opportunity to be Thank God, that you will be the proud Pakistani to bring about a change a generation from now. Your job of wishing is made easy for you. Please attend the Program, buy your table or the ticket, be a sponsor. 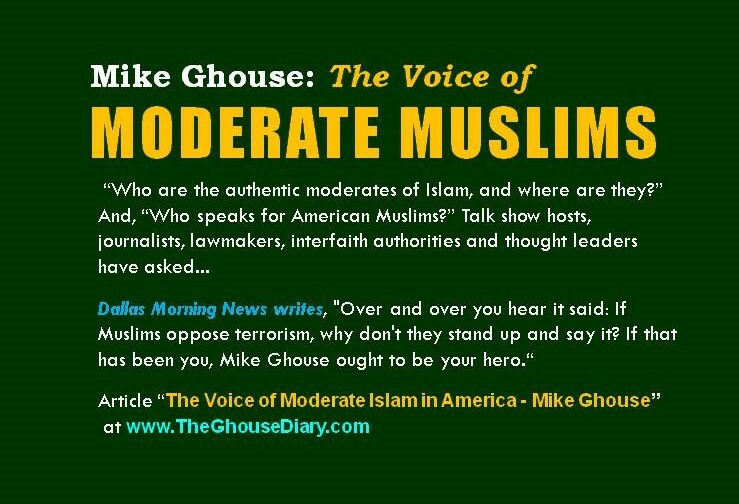 Mike Ghouse is a Dallas based Writer, Blogger, Speaker, Thinker and a Moderator. 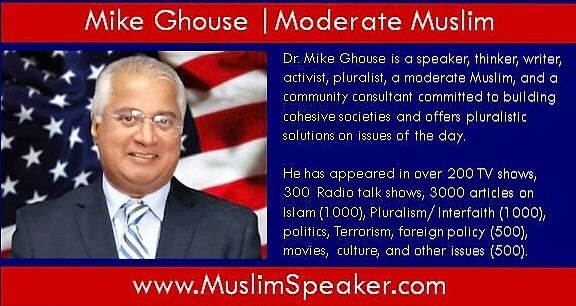 He is a frequent guest on talk radio and local television networks offering pluralistic perspectives on issues of the day. 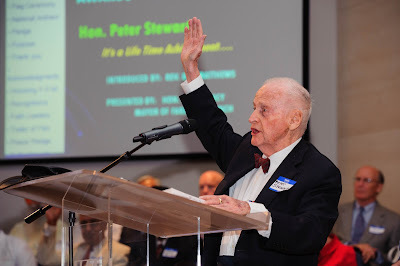 His comments, news analysis and columns can be found on 3 Web sites and 15 Blogs listed at his personal website. The Ghouse Journal in e-format reaches over 24,000 friends and 30,000 in different groups. Mike's comments follow Blair speech. A peace maker is one who wants to see a balanced world and work towards it by mitigating conflicts and nurturing good will. There is a lot of thoughtlessness in your statements, your mission is well founded but some of your words and actions need to be packed with thought and long term sustainability. You have the partnership of the willing, just as Bush had, but you need to work on partnering with the un-willing. After all, it is their cooperation that is needed to make this work. "Fourth, in the use of hard power, we have to understand one very simple thing: where we are called upon to fight, we have to do it. If we are defeated anywhere, we are at risk of being defeated everywhere". You are either with us or with them kind of language? You are still influenced by those ideas produced by your mentor friend Bush? The language sounds very much like the Terrorists language, they are indeed 'called upon to fight'. There is a Chinese saying - if you aggravate the enemy, you make more enemies, if you make friends, and there is no more enemy, that is the smart thing to do. Obama has understood this concept and hopefully he will succeed. Your are creating camps here; that is not peace making my friend. We don't have to come together for the purpose of 'annihilating the enemy’, that is a dumb and a failed approach that stems from the arrogance of power. There is a better way, and I will write a paper on it for publication. "Engaging with Iran is entirely sensible. I fully agree with the Obama Administration in doing so.” Thank God for the change of your heart, you did the opposite eight years ago, welcome to the world of peace making. "In Palestine, whatever criticism can be made of Israel, the fact remains that terrorist attacks are still aimed directly at innocent civilians who live in what is undeniably the state of Israel; and such attacks hugely impair the chance of peace on the basis of two states. And there is continuing terrorism in Iraq and Afghanistan" Mr. Blair, you lose your credibility by not mentioning what caused it to happen? It ain't peace making when you blame one side and not the other, you are making the other side dig in their feet and your statements here are a deterrent to peace making. You are pleasing the few short-sighted men to have their support but in effect, you are alienating the very one you need to make peace, long term, sustainable peace. "President Obama's reaching out to the Muslim world at the start of a new American administration, is welcome, smart, and can play a big part in defeating the threat we face." Where were you when Bush was doing the exact opposite? And you supported it, you did not have th balls to speak out against that man, you were scared of him. Any way I am glad you are attempting to do the right thing now. "The difference, now, in the nature of any intervention, however is this. Back in April 1999, I thought that removal of a despotic regime was almost sufficient in itself to create the conditions for progress. But this battle cannot so easily be won. Because it is based on an ideology and because its roots are deep, so our strategy for victory has to be broader, more comprehensive but also more sharply defined." True peace makers find solutions that are sustainable, the words like battle, winning, defeating etc., stem from the arrogance of power and not humility of doing good. Please study Mahatma Gandhi and MLK, it will refine your language and make a true peace maker out of you. "They don't believe in democracy, equality or freedom. They will espouse, tactically, any of these values if necessary. But at heart what they want is a society and state run on their view of Islam. 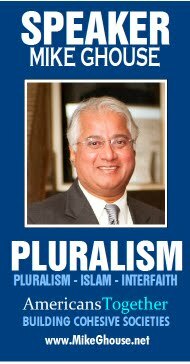 They are not pluralists. They are the antithesis of pluralism"
No sir, you are dead wrong, you have not even consulted the ordinary people, the common Muslims, the common Jews, the common Chritians or Hindus, your basis is wrong. Every time there was an opportunity for a change, you have crushed those movements; Mr. Blair you failed to mention that you and your buddy failed to recognize a democratically elected government and pushed them to do things they probably would not have done it. Your policies have consistently supported the oppressors like Husni, Abdullah, Saddam (for a long time) and Shah of Iran... What did our policies do in Pakistan? Musharraf was Bush buddy and you liked him in there, which was fine, but did not encourage him to empower people and create institutions to bring about sustainable democracy, instead you poured 10 billion dollars to strenghten the military, that money could have gone into schools to wean away the next generation from going in to the Taliban Camp. When you are not with the common people, they express their frustrations in a wrong way like terrorism like shelling into civilian population in Israel. You cannot annihilate either people, you find justice to work for both people, then goodness will emerge. Mr. Blair, always find the causes for every action, and then work on mitigating the source of conflicts rather than annihilating the conflict producers. Long term peace brings goodness to all parties not just the ones your support. Please read Gandhi and MLK and see the difference it makes, start talking with common people, the decisions in a democracy come from the bottom up not top down. "The struggle faced by the world, including the majority of Muslims, is posed by an extreme and misguided form of Islam. Our job is simple: it is to support and partner those Muslims who believe deeply in Islam but also who believe in peaceful co-existence, in taking on and defeating the extremists who don't." It is almost ten years to the day that I stood in this city and gave an address at the height of the Kosovo crisis. In that speech, I set out what I described as a doctrine of international community that sought to justify intervention, including if necessary military intervention, not only when a nation's interests are directly engaged; but also where there exists a humanitarian crisis or gross oppression of a civilian population. It was a speech that argued strongly for an active and engaged foreign policy, not a reactive or isolationist one: better to intervene than to leave well alone. Be bold, adventurous even in what we can achieve. Many, at the time, described the speech as hopelessly idealistic; dangerous even. And, probably, in the light of events since then, some would feel vindicated. As for me, I am older, better educated by the events that shaped my premiership, but I still believe that those who oppress and brutalise their citizens are better put out of power than kept in it. However, it is undeniable that in the years that have passed, circumstances have changed radically. When I was here in 1999, Kosovo was the issue of the day, the ethnic cleansing of a civilian population, Muslims as it happened, by the Milosevic regime in Serbia. Subsequently, I authorised military action, by British forces in Sierra Leone, where a group of gangsters - portrayed in the film 'Blood Diamond' - were trying to overthrow a democratically elected Government. The gangsters were stopped, the Government saved and in late 2007, the people of Sierra Leone changed ruling party by the ballot box, and without bloodshed. But then came Afghanistan and afterwards Iraq. Up to 11th September 2001, the military interventions, undertaken with such a humanitarian purpose, had been relatively self-contained, short in duration and plainly successful. Even after then, the removal of the Taliban Government occurred in three months. And though, of course, the reasons for that intervention were obviously justifiable by reference to a traditional view of national interest, since the Afghan regime had allowed Al Qaida to operate training camps; the nature of the regime - its cruelty, its suppression of women, its use of the drug trade - hugely contributed to the public support for its removal. When Saddam was ousted in 2003, even those who disagreed with the conflict could see and abhor the way he and his henchmen behaved in their barbaric treatment of their people. However, as time has passed, so has the familiar certainty that our power would always triumph, that if the will was there, the means of intervention would be efficacious. Iraq, though measurably improved from two years ago, remains fragile; Afghanistan is proving to be a battle needing to be re-waged. Sustaining public support through so many years has proved difficult in respect of Iraq and even in respect of Afghanistan. So: should we now revert to a more traditional foreign policy, less bold, more cautious; less idealistic, more pragmatic, more willing to tolerate the intolerable because of fear of the unpredictable consequences that intervention can bring? My argument is that the case for the doctrine I advocated ten years ago, remains as strong now as it was then; and that what has really changed is the context in which the doctrine has to be applied. The struggle in which we are joined today is profound in its danger; requires engagement of a different and more comprehensive kind; and can only be won by the long haul. The context therefore is much tougher. But the principle is the same. 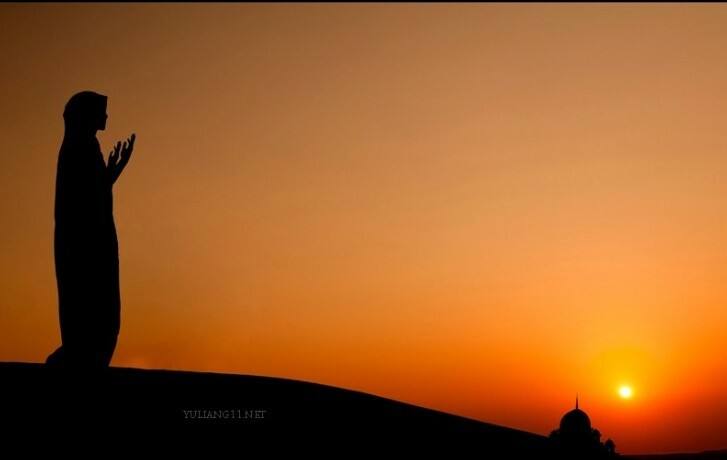 The struggle faced by the world, including the majority of Muslims, is posed by an extreme and misguided form of Islam. Our job is simple: it is to support and partner those Muslims who believe deeply in Islam but also who believe in peaceful co-existence, in taking on and defeating the extremists who don't. But it can't be done without our active and wholehearted participation. It is one struggle with many dimensions and varied arenas. There is a link between the murders in Mumbai, the terror attacks in Iraq and Afghanistan, the attempts to destabilise countries like Yemen, and the training camps of insurgents in Somalia. It is not one movement. There is no defined command and control. But there is a shared ideology. There are many links criss-crossing the map of Jihadist extremism. And there are elements in the leadership of a major country, namely Iran, that can support and succour its practitioners. Engaging with Iran is entirely sensible. I fully agree with the Obama Administration in doing so. The Iranian Government should not be able to claim that we have refused the opportunity for constructive dialogue; and the stature and importance of such an ancient and extraordinary civilisation means that as a nation, Iran should command respect and be accorded its proper place in the world's affairs. I hope this engagement succeeds. The purpose of such engagement should, however, be clear. It is to prevent Iran acquiring nuclear weapons capability; but it is more than that, it is to put a stop to the Iranian regime's policy of de-stabilisation and support of terrorism. The purpose of the engagement, as the President and Secretary of State have rightly emphasised, is not to mix the messages; but to make them indisputably clear. Unfortunately, though, it would be rash to believe that resolving our differences with Iran's current regime, would resolve this struggle. It would, of course, be a major advance, some might argue a definitive one. But, in truth, the roots of this extremism go deep and far broader than those initiated by the Tehran revolution of 1979. Examine, for a moment, where things stand. The future of Pakistan is critical, but uncertain. Were it to go badly wrong, the consequences would be drastic. In Lebanon, there is calm but no one doubts now the political and military might of Hezbollah. In Palestine, whatever criticism can be made of Israel, the fact remains that terrorist attacks are still aimed directly at innocent civilians who live in what is undeniably the state of Israel; and such attacks hugely impair the chance of peace on the basis of two states. And there is continuing terrorism in Iraq and Afghanistan. These examples are well known. But how many know that in the Mindanao insurgency in the Philippines, over 150,000 have died; in Algeria, tens of thousands have perished ; and as we speak, across a wide part of the northern half of Africa, previously good relations between Muslims and Christians have been sundered, and communities set against each other. Of course, each arena of conflict has its own particular characteristics, its own origins in political or territorial disputes, its own claims and counter-claims of injustice. Of course the solution in each case will be in many respects different. But it is time to wrench ourselves out of a state of denial. There is one major factor in common. In each conflict there are those deeply engaged in it, who argue that they are fighting in the true name of Islam. And here is the crucial point. This didn't start on 11th September 2001, or shortly before it. The roots aren't near the surface. It was in the 1970s that Pakistan's leadership decided to re-define itself through religious conviction. The storming of the Holy Mosque in Mecca took place years ago. Al Qaida began in earnest in the 1980s. In many Arab and Muslim nations, there was more tolerance and less religiosity in the 1960s, than today. The doctrinal roots of this growing movement can be traced even further back to the period in the late 19th and early 20th century where modernising and moderate clerics and thinkers were slowly but surely pushed aside by the hard-line dogma of those, whose cultural and theological credentials were often dubious, but whose appeal lay in the simplicity of the message : Islam, they say, lost its way; the reason was its departure from the true faith as stated immutably in the 7th century ; and the answer is to return to it and in doing so, vanquish Islam's foes, in the West and most especially within the ruling parties of the Islamic world itself. The tragedy of this is that the authentic basis of Islam, as laid down in the Qur'an, is progressive, humanitarian, sees knowledge and scientific advance as a duty, which is why for centuries Islam was the fount of so much invention and innovation. Fundamental Islam is actually the opposite of what the extremists preach. But, in recent times, as the West and nations such as China developed and opened up under the impulse of a steady, post Second World War globalisation, so these extreme elements have presented themselves in reaction to it, railing against the modern world, its evils, its decadence, its hedonistic secularism. In terrorism, they have found a powerful, hideous and, in one sense, very modern weapon. It kills the innocent; but it does much more than that. It creates chaos in a world which increasingly works through confidence and stability. And they have succeeded in one other sphere. 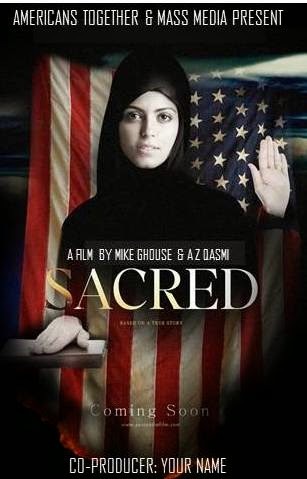 They have successfully inculcated a sense of victimhood in the Islamic world, that stretches far beyond the extremes. So powerful has this become that it has severely warped the debate even in many parts of the non-Islamic world, where frequently commentators, while naturally condemning the terrorism, nevertheless imply that, to an extent, the West's foreign policy has helped 'cause' it. President Obama's reaching out to the Muslim world at the start of a new American administration, is welcome, smart, and can play a big part in defeating the threat we face. It disarms those who want to say we made these enemies, that if we had been less confrontational they would have been different. 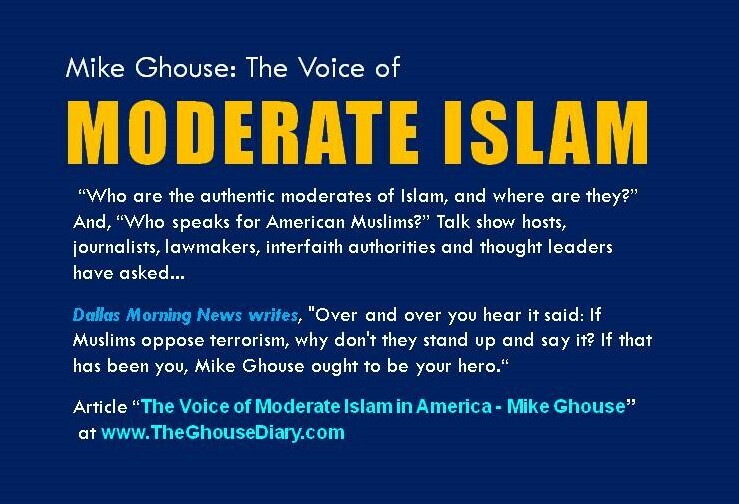 It pulls potential moderates away from extremism. But it will expose, too, the delusion of believing that there is any alternative to waging this struggle to its conclusion. The ideology we are fighting is not based on justice. That is a cause we can understand. And world-wide these groups are adept, certainly, at using causes that indeed are about justice, like Palestine. Their cause, at its core, however, is not about the pursuit of values that we can relate to; but in pursuit of values that directly contradict our way of life. They don't believe in democracy, equality or freedom. They will espouse, tactically, any of these values if necessary. But at heart what they want is a society and state run on their view of Islam. They are not pluralists. They are the antithesis of pluralism. And they don't think that only their own community or state should be like that. They think the world should be governed like that. In other words, there may well be groups, or even Governments, that can be treated with, and with whom we can reach an accommodation. Negotiation and persuasion can work and should be our first resort. If they do, that's great, which is why if Hamas were to accept the principle of a peaceful two state solution, they could be part of the process agreeing it. But the ideology, as a movement within Islam, has to be defeated. It is incompatible not with 'the West' but with any society of open and tolerant people and that in particular means the many open and tolerant Muslims. The difference, now, in the nature of any intervention, however is this. Back in April 1999, I thought that removal of a despotic regime was almost sufficient in itself to create the conditions for progress. But this battle cannot so easily be won. Because it is based on an ideology and because its roots are deep, so our strategy for victory has to be broader, more comprehensive but also more sharply defined. It is important to recognise that it is not going to be won except over a prolonged period. In this sense, it is more akin to fighting revolutionary Communism than a discrete campaign such as the one which changed the Balkans a decade ago. So I understand completely the fatigue with an interventionist foreign policy - especially when it involves military action that takes its toll on the nation's psyche, when we see those who grieve for the fallen in battle. The struggle seems so vast, so complex, so full of layers and intersections that daunt us, that they make us unsure where we start, how we proceed and where and how on earth we end. 'Look there are people in this world who are crazy,' a friend said to me the other day, 'leave them to be crazy.' Except the problem is that they won't leave us in the comfort of our lives. That's not the way the world works today. The Holy Land, that from Tel Aviv to the River Jordan, could fit within a small US state, is many, many thousands of miles from here. But, whether there is peace there or not, will affect our peace. So: How to win? In summary, I would identify six elements to a successful strategy. First, we have to understand we have not caused this phenomenon but what we do now can help beat it. You can debate, in respect of Iraq or Afghanistan, whether by removing the dictatorships, we provided the terrain for terrorist organisations to work in ; or the alternative view, which is that by fighting them there, we damage their capacity world-wide by focusing the battle. Whichever view is taken, there is no conceivable justification for the ghastly and wicked use of terror to kill and maim innocent people, the bulk of whom are of course Muslims. And there are ample alternatives to violence in Iraq, in Afghanistan, in the democratic process; in Palestine, Lebanon and elsewhere, in diplomacy and peaceful political change. Terror is the enemy of progress. The responsibility for terrorism lies with the terrorist and no-one else. This has to be proclaimed vigorously by us; but also upheld and shouted from the rooftops from within Islam itself. Secondly, there is some good news. Ultimately, this battle can only be won within Islam itself and the fact is, across Islam today, we have allies. The most powerful are the ordinary people themselves. Yes, the voice of extremists may be louder. They are better organised. But they don't represent true Islam or true Muslims. We need to support these allies. We need to work with them to allow their voice to be heard and their authenticity to be established. In this regard, we should acknowledge that the world of Islam is not just the Middle East and its surrounds, but includes large parts of Asia, including Indonesia the largest predominantly Muslim country in the world. Third, in supporting them, we have to escape the false choice between the use of hard or soft power. Only a combination of the two will work. One of the most damaging aspects of the politics of the past ten years has been the posing of the policy challenge as between a so-called 'neo-conservative' right who were held to promulgate a purely military solution; and a so-called 'liberal' left that preferred diplomacy. Most sensible people know that here - as, in fact, in many areas of twenty first century politics - such labels are unhelpful, counter-productive and distort the challenge. We have to fight where we are being fought against. We have to persuade where the battle is for hearts and minds. Fourth, in the use of hard power, we have to understand one very simple thing: where we are called upon to fight, we have to do it. If we are defeated anywhere, we are at risk of being defeated everywhere. Fortunately, you can be incredibly proud of your Armed Forces here in the US, as we, the British, can be of ours. They have been in the frontline of this battle for eight long years now. They are still on it. They are brave and committed people, fighting the good fight in a cause that is right and they deserve and need our wholehearted commitment in return. Fifth, in the deployment of soft power, we need to be likewise resolute and encompass all dimensions of the struggle. We have to be partners and helpers to the process of change and modernisation within Islam. We cannot do it. But we can support the doing of it by others. There is a perfectly intelligent view that 'imposing' democracy on Iraq and, to an extent, Afghanistan, was a mistake. It's not a view I share, obviously; but I fully respect it. However, I do not accept at all the view that democracy is unattainable or unaccepted in the Islamic world. On the contrary, eventually it is only by the embrace of greater democracy - albeit by evolution - that this battle will be won. It will be hard to accomplish. But it is the most dangerous thing imaginable, to force people to choose between an undemocratic elite with the right idea and a popular movement with the wrong one. Many of those drawn to the simplistic notion that 'Islam is the answer' are attracted because of the failure of countries to change, where change is urgently needed ; and in doing so, end up agitating for the wrong change, because we are not helping sensible change to occur. So a soft power strategy should go broad and also go deep. This extremism has many political characteristics. But it is also cloaked in religion. You can't ignore that fact. 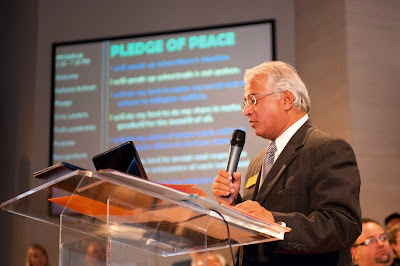 So part of defeating it lies also in religion, lies in a consistent and clear critique of its religious error by religious leaders within Islam; and in the burgeoning initiative for dialogue, understanding and action between the different faiths of the world, of which my foundation, the Tony Blair Faith Foundation, is a part. The more we reach out across the world of faith, the more common space the Abrahamic and non-Abrahamic faiths can inhabit, then the extremists and reactionaries within all faiths can be challenged. And it needs to be organised. It needs to be at the centre of policy, properly resourced, properly serviced. It needs to go down into the education systems, ours as well as theirs, into collaboration between institutions of learning, into arts and culture. Foreign policy needs to be completely re-shaped around such a strategy. And, of course, though I know I sound like the proverbial broken record on this, the Israel-Palestine question must be resolved. No-one should suggest this dispute has caused the extremism; but its resolution would immeasurably help its defeat. It isn't a side issue; it isn't a diversion. And it is resolvable. If we understand how much it matters, we will find the will and the way to do it. But it must be done. WITH the outbreak of swine flu in Mexico, we were taking bets in the pub last night as to which Islamic country would be the first to demand that the viral condition be renamed so that it would not offend Muslims. Saudi Arabia was the first choice, with Pakistan weighing in as a close second. But guess what? No-one thought of Israel. Today Deputy Health Minister Yakov Litzman, holding a press conference to update the public on developments regarding the epidemic in Israel, recommended that it be called “Mexican flu” rather than “swine flu”. According to this report, only two Israelis are believed to have contracted swine Mexican flu. Tomer Vajim, 26, was admitted to the Laniado Hospital in Netanya after returning from Mexico with signs of the viral infection. A second man who returned from Mexico on Sunday was admitted to the Meir Medical Center in Kfar Saba and put in isolation after exhibiting suspect symptoms, including fever and coughing. 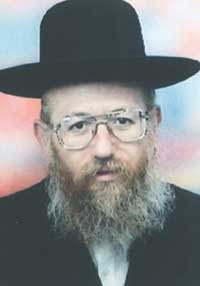 Israel's deputy health minister Yakov Litzman, of the United Torah Judaism party, on the ultra-orthodox wing of Israeli politics, said at a press conference this morning: 'We will use the term Mexican flu in order not to have to pronounce the word swine.' Both AP and AFP are reporting the story. Although my own sources tell me that Litzman is out on a limb and will be ignored, I happen to agree with him, albeit for different reasons to his own. See the end of this post for why. If the wider government in Israel takes him seriously, Israel's minority Muslim population will on this issue at least be united with the country's Jewish population as pork is banned by both. I am waiting to hear from UK Chief Rabbi's office about their view of the term. The World Organisation for Animal Health also wants the disease renamed because it is not exclusive to pigs. Tradition with past such diseases means they are usually named after their area of origin. They want it called North American flu, which seems a bit unfair to Canada and the US. This comes as two cases are now confirmed in Scotland with several people they came into contact with also developing symptoms. Canadian woman has just been admitted to hospital in Manchester, suspected to be suffering from swine flu, Israeli authorities are still waiting for the results of tests to determine whether a 26-year-old citizen who flew in from Mexico last Friday has the disease. The Church of England is not commenting yet. I asked for a prayer from its rapid response prayer unit but none is forthcoming. They think it's no more serious, at present, than the avian flu scare. Surely though a prayer is the least they could do, even if for the stricken of Scotland, Spain, the US and Mexico, because from where I'm sitting, this has the potential to be quite a lot more serious. Bird flu was, by and large, just caught from birds. Hence, 'bird' flu. This one seems to be highly contagious between people. Hence the Israelis, if they pursue this, might just have a point. More than 100 people have now died in Mexico, and that's just the official tally. It really should be called Mexican flu. How long, I wonder, before people start weighing on on Revelation, plague and pestilence? No doubt I'll be able to bring you links to apocalyptic flu blogs very soon indeed. On top of the credit crunch and the rain, it really is all a bit much. I can't believe the Church of England doesn't think it worthy of comment. The best place to keep track of what's going on with Mexican flu, though, is Twitter. Google Earth is tracking its progress, conspiracy theorists are making jokes and some even sincere suggestions about God's purpose in all of this. 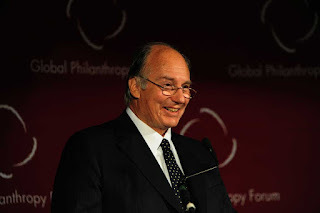 A note by Mike Ghouse: With an open heart and an open mind as you believe in "Balance", you will find that His Highness Aga Khan focusess on consciously creating societies of balance; spiritual, religious, civic, economic and social balance in every speech he makes, you can hear that theme. 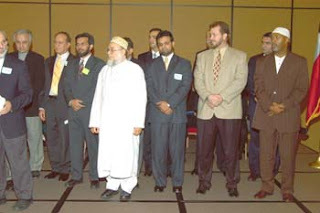 Many of his speeches are published at the Foundation for Pluralism and world Muslim Congress websites and blogs. He is one of my mentors and I look forward to reading or listening to his words of wisdom. President Jane Wales, thank you for those very generous comments. I'd like to say how happy I am to share in this year's Global Philanthropy Forum. It is a special pleasure for me to be with you tonight, for I look upon you as particularly serious and informed partners in the work of global understanding and international development. It is not my purpose tonight to detail the misunderstandings which have plagued this relationship. Let me only submit that educational systems on both sides have failed mightily in this regard - and so have some religious institutions. That - at this time in human history - the Judeo Christian and Muslim societies should know so little about one another never ceases to astonish - to stun - and to pain me. As a Muslim leader speaking in Washington this evening, it seems appropriate that I cite the words of President Obama, in his recent speech in Ankara. As he put it, pledging a "broader engagement with the Muslim world, we will listen carefully, we will bridge misunderstandings, and we will seek common ground." I know that the vast majority of the Islamic world shares these objectives. Among the areas where we can find common ground is our mutual effort to address the problem of persistent global poverty, especially the endemic poverty of the developing world. Surely this is an area where we can listen and learn and grow together - establishing ever-stronger bonds of understanding. One of the great principles of Islam, in all its interpretations, is the elimination of poverty in society, and philanthropy's centrality in this duty. 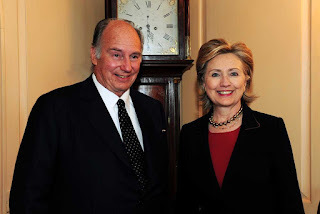 When I succeeded my grandfather as Aga Khan in 1957, I was a student at Harvard - but speaking mostly French. I got extra English practice, however, from my new official routine of regular communication with Africa and Asia - and, in the bargain, was kept in great good humour by the amazing typographic errors which inevitably arose. But then computerized spell check programs came along - and all those charming idiosyncrasies disappeared! I recently noticed, to my joy, however, that this new invention is not a fail safe protection. Consider this recent item in the publication "The Week: "Bad week for spell-check: Several Pennsylvania high school students had their last names changed in their yearbook by an automatic computer program, Alessandra Ippolito was listed as Alexandria Impolite, while Max Zupanovic was rechristened Max Supernova. And Kathy Carbaugh's photo appeared next to the name Kathy Airbag." After reading this, I decided that maybe I should act prudently and spell check my own name. And I found that, while there was no "Aga Khan", there was an "Aga" Cooker. It was defined as one of England's oldest stoves and ovens - now somewhat outdated - but with a distinctive whistle every time it frizzled the food within! But returning to a more serious topic let me submit this evening a few of my own reflections on the developing world that I know a central focus of my interests over fifty years. 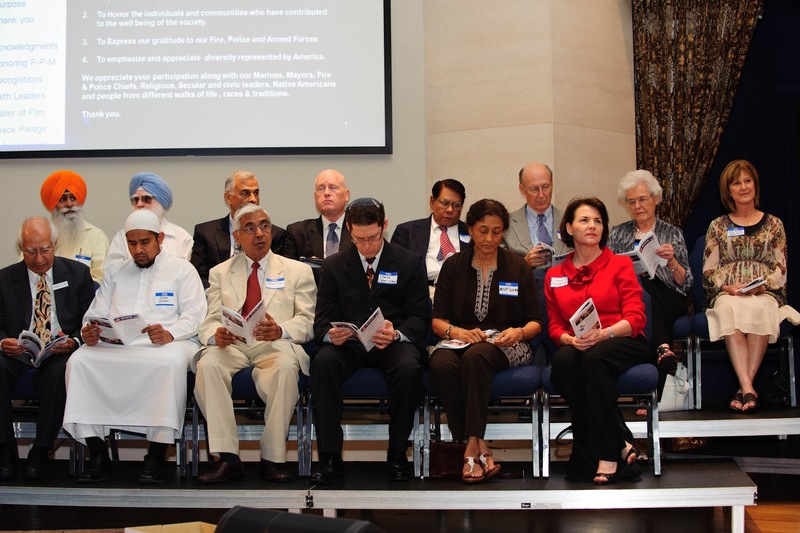 For, in coming to understand the life of widely dispersed Ismaili communities across the globe, I have also become immersed in their host societies. The essential goal of global development has been to create and sustain effective nation states - coherent societies that are well governed, economically self-sustaining, equitable in treating their peoples, peaceful amongst themselves, and sensitive to their impact on planetary sustainability. This is a complex objective, a moving target, and a humbling challenge. Sadly, the response in the places I know best has often been "one step forward and two steps back." Today, some forty percent of UN member nations are categorized as "failed democracies" - unable to meet popular aspirations for a better quality of life. The recent global economic crisis - along with the world food crisis - has sharply accentuated these problems. But why have our efforts to change that picture over five decades not borne greater fruit? Measured against history, where have things gone wrong? Given the progress we have made in so many fields, why have we been so relatively ineffective in sharing that progress more equitably, and in making it more permanent? My response centers on one principal observation: I believe the industrialized world has often expected developing societies to behave as if they were similar to the established nation states of the West, forgetting the centuries, and the processes which molded the Western democracies. Forgotten, for one thing, is the fact that economic development in Western nations was accompanied by massive urbanization. Yet today, in the countries of Asia and Africa where we work, over 70 percent of the population is rural. If you compare the two situations, they are one and a half to two and half centuries apart. Similarly, the profound diversity of these impoverished societies, infinitely greater than that among nascent European nation states, is too often unrecognized, or under-estimated, or misunderstood. Ethnic, religious, social, regional, economic, linguistic and political diversities are like a kaleidoscope that history shakes every day. One symptom of this problem has been the high failure rate of constitutional structures in many developing countries, often because minority groups - who often make up the bulk of the population - fear they will be marginalized by any centralized authority. But did today's developed countries not face similar challenges as they progressed toward nationhood? If there is an historic misperception here, it has had several consequences for development activities. The first concerns what I would call the dominant player fallacy - a tendency to place too much reliance in national governments and other institutions which may have relatively superficial connections to life at the grass-roots level. Urban-based outsiders often look at these situations from the perspective of the city center looking out to a distant countryside, searching for quick and convenient levers of influence. Those who look from the bottom-up, however, see a much much more complex picture. The lines of force in these rural societies are often profoundly centrifugal, reflecting a highly fragmented array of influences. But was this not also true during the building of Western nation states? Age old systems of religious, tribal or inherited family authority still have enormous influence in these societies. Local identities which often cross the artificial frontiers of the colonial past are more powerful than outsiders may assume. These values and traditions must be understood, embraced, and related to modern life, so that development can build on them. We have found that these age-old forces are among the best levers we have for improving the quality of life of rural peoples, even in cross frontier situations. Nation building may require centralized authority, but if that authority is not trusted by rural communities, then instability is inevitable. The building of successful nation states in many of the countries in which I work will depend - as it did in the West - on providing significantly greater access for rural populations, who are generally in the majority. If these reflections are well founded, then what is urgently needed is a massive, creative new development effort towards rural populations. Informed strategic thinking at the national level must be matched by a profound, engagement at the local level. Global philanthropy, public private partnerships and the best of human knowledge must be harnessed. As the World Bank recognized in its recent Poverty Study, local concerns must be targeted, providing roads and markets, sharpening the capacities of village governments, working to smooth social inequalities, and improving access to health and education services. The very definition of poverty is the absence of such quality of life indicators in civil society among rural populations. It is in this context that I must share with you tonight my concern that too much of the developmental effort - especially in the fields of health and education - have been focused on urban environments. I whole-heartedly support, for example, the goal of free and universal access to primary education. But I would just as whole-heartedly challenge this objective if it comes at the expense of secondary and higher education. How can credible leadership be nurtured in rural environments when rural children have nowhere to go after primary school? The experience of the Aga Khan Development Network is that secondary education for rural youth is a condition sine qua non for sustainable progress. Similarly despite various advances in preventive medicine, rural peoples - often 70% of the population - are badly served in the area of curative care. Comparisons show sharp rural disadvantages in fields such as trauma care and emergency medicine, curbing infant mortality, or diagnosing correctly the need for tertiary care. Building an effective nation state, today as in earlier centuries, requires that the quality of rural life must be a daily concern of government. Ideally, national progress should be as effective, as equitable, and as visible, over similar time-frames, in rural areas as in urban ones. Amongst other considerations, how else will we be able to slow, if not stop, the increasing trend of major cities of Asia and Africa to become ungovernable human slums? From this general analysis, let me turn to our own experience. The Aga Khan Development Network, if only as a matter of scale, is incapable of massively redressing the rural-urban imbalances where we work. It is possible, however, to focus on areas of extreme isolation, extreme poverty and extreme potential risk - where human despair feeds the temptation to join criminal gangs or local militia or the drug economy. The World Bank refers to these areas as "lagging regions". We have focused recently on three prototypical situations. Badakhshan is a sensitive region of eastern Tajikistan and eastern Afghanistan where the same ethnic community is divided by a river which has now become a national border, and where both communities live in extreme poverty and are highly isolated from their respective capitals of Dushanbe and Kabul. 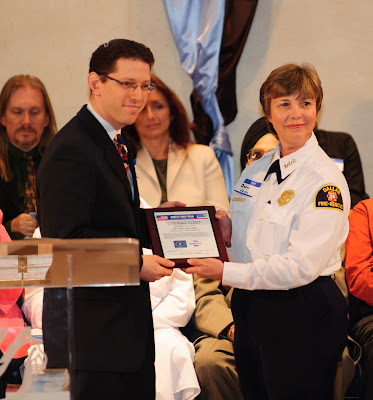 There is a significant Shia Ismaili Muslim presence in both areas. Southern Tanzania and Northern Mozambique is a region of eastern Africa where large numbers of rural Sunni Muslims live in extreme poverty. A third case, Rural Bihar, in India, involves six states where the Sachar Committee Report, commissioned by the Indian government, has courageously described how Muslim peoples have been distanced from the development story since 1947. All three of these regions are works in progress. The first two are post conflict situations, relatively homogeneous, and sparsely populated, while the third is densely populated, and culturally diverse. All three have acute potential to become explosive, and our AKDN goal is to identify such areas as primary targets for philanthropy. We have also developed a guiding concept in approaching these situations. We call it Multi-Input Area Development - or MIAD. An emphasis on multiple inputs is a crucial consequence of looking at the development arena from the bottom up. Singular inputs alone cannot generate, in the time available, and across the spectrum of needs, sufficient effective change to reverse trends towards famine or towards conflict. Similarly, we want to measure outcomes in such cases by a more complex array of criteria. What we call our Quality of Life Assessments go beyond simple economic measurements - considering the broad array of conditions - quantitative and qualitative - which the poor themselves take into account when they assess their own well-being. Secretary Clinton echoed the concern for multiple inputs and multiple assessments when she mentioned to you yesterday the need for diversified partnerships among governments, philanthropies, businesses, NGO's, universities , unions, faith communities and individuals. The Aga Khan network includes partners from most of these categories - sustaining our Multi-Input strategy. I applaud her concern - and yours - for the importance of such alliances. Northern Pakistan provides another example, in a challenging high mountain environment, of a complex approach to rural stabilization. Innovations in water and land management have been accompanied by a new focus on local choice through village organizations. A "productive public infrastructure" has emerged, including roads, irrigation channels, and small bridges, as well as improved health and education services. Historic palaces and forts along the old Silk Route have been restored and reused as tourism sites, reviving cultural pluralism and pride, diversifying the economy and enlarging the labor market. The provision of micro credit and the development of village savings funds have also played a key role. For nearly 25 years, we have also worked in a large, once-degraded neighborhood, sprawling among and atop the ruins of old Islamic Cairo - built 1000 years ago by my ancestors, the Fatimid Caliphs. This is an urban location - but occupied by an essentially rural population, striving to become urbanized. The project was environmental and archaeological at the start - but it grew into a residential, recreational and cultural citiscape - which last year attracted 1.8 million visitors. The local population has new access to microcredit and has been trained and employed not only for restoring the complex, but also for maintaining it - as a new expression of civil society. Because historic sites are often located among concentrations of destitute peoples, they can become a linchpin for development. We work now with such sites as Bagh-e-Babur in Kabul, the old Stone Town in Zanzibar, the Aleppo Citadel in Syria, the historic Moghal sites at New Delhi and Lahore, and the old mud mosques of Mopti and Djenne and Timbuktu, in northern Mali. Altogether, more than one million impoverished people will be touched by these projects. Such investments in restoring the world's cultural patrimony do not compete with investing in its social and economic development. Indeed, they go hand in hand. In all these cases, it is the interaction of many elements that creates a dynamic momentum, bringing together people from different classes, cultures, and disciplines, and welcoming partners who live across the street - and partners who live across the planet. Each case is singular, and each requires multiple inputs. And it is here that those present tonight can have such an important impact. Working together on programme development, on sharing specialized knowledge, and on competent implementation, we can all contribute more effectively to the reduction of global poverty. Let me say in closing, how much I admire the work you are doing, the commitment you feel, and the dreams you have embraced. I hope and trust that we will have many opportunities to renew and extend our sense of partnership as we work toward building strong and healthy nation states around our globe. If we are to succeed we will need, first, to readjust our orientation by focusing on the immense size and diversity of rural populations whether they are in peri-urban or rural environments. For no-one can dispute, I think, that a large number of the world's recent problems have been born in the countrysides of the poorest continents. Finally, we will need to address these problems with a much stronger sense of urgency. What we may have been content to achieve in 25 years, we must now aim to do in 10 years. A mighty challenge, no doubt. 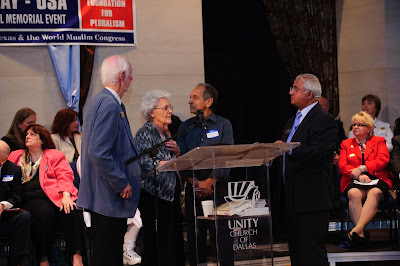 I would like to dedicate the essence of this speech to Mary Ann Thompson-Frenk, co-founder of Memnosyne Foundation who is consciously creating a world of co-existence by providing mankind with the means to encourage positive, peaceful global collaboration in all areas of knowledge, and Dr. Abusaleh Shariff, my friend who did the pioneering research work in understanding the minority demographic component of a nation. This report has been quoted by the United Nations and virtually every leader in the world, it is first of its kind. This report can be extrapolated to every nation and every tribe where there is a lack of demographic balance in the overall society. Shariff wrote the Sacchar report for Prime Minister Singh mentioned by his Highness. Further notes at the bottom of the article. Unlike the matter, human life was not put on a trajectory; we were not put on a plan to circumambulate around something, or hung in one place. We were given the freedom to create our own balance. Whether we believe in God or not, we still seek that balance. Friends, God loves his creation just as each one of us loves what we create, be it the food we cook, the clothes we wear, the paintings we paint or sculptures we sculpt. You have to take time to understand and honor the greatness in each human; My personal list of mentors who have consistently inspired me for their inclusive attitudes are; Muhammad, Jesus Christ, Rama, Mahatma Gandhi, Mother Teresa, Martin Luther King and Aga Khan and my Dad and Mom. I am watching Barack Obama, he is on and off and hope in a few years, he will drop the "war" as a solution to humanity's issues, then he will become my mentor as well. Yes, What Muslim? Say that again! 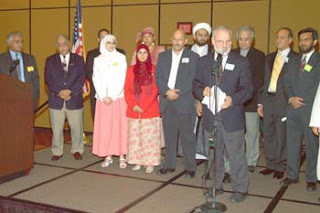 Unity Day 2005 - Muslims from every tradition came together on this day and the duwa (prayer-blessing) was led by the Sunni Imam, followed by Shia and Bohra Imams in the subsequent years, Insha Allah we will get every spiritual leader from within our traditions to lead each coming year. 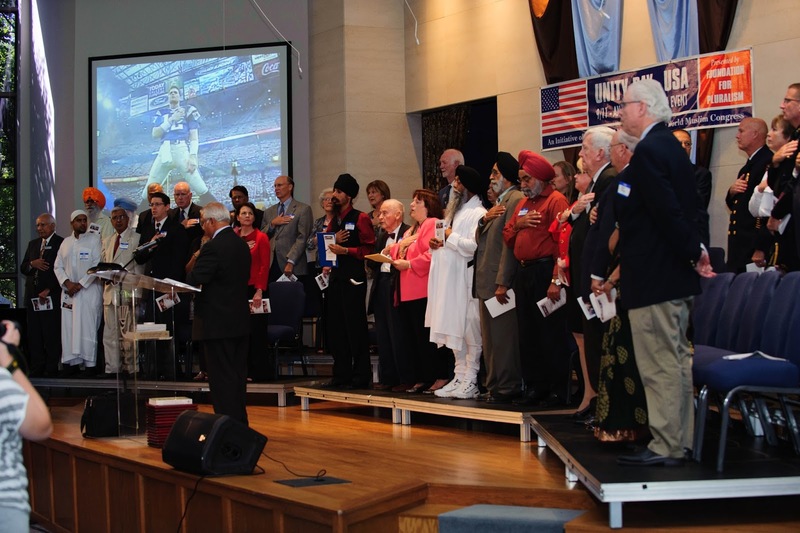 Unity day is a mainstream event, where people from every faith and denominations come togther as one cohesive group. We had 12 such groups at the event: Bahai, Buddhist, Christian, Hindu, Jain, Jewish, Muslim, Native Indians, Shinto, Sikh, Wicca and Zoroastrians. 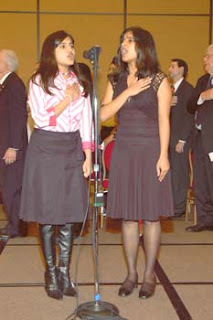 The American National Anthem was led by Hijabi to non-Hijabi women. 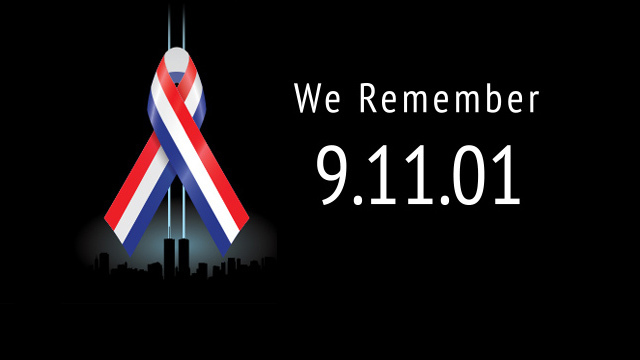 We are who we are and in that spirit we need to be together for the good of humanity. 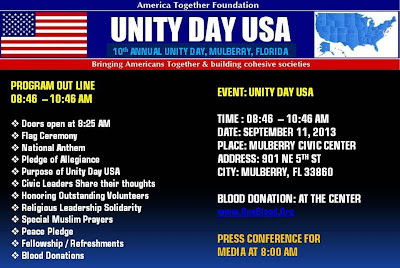 Unity Day USA is an initiative of the World Muslim Congress and the Foundation for Pluralism, we will be celebrating that day for the 5th year on Sunday, September 6, 2009 - it is changing the paradigm of 9/11 into a positive one; where every American comes together to rededicate his/her pledge for one nation under God with liberty and Justice for all. 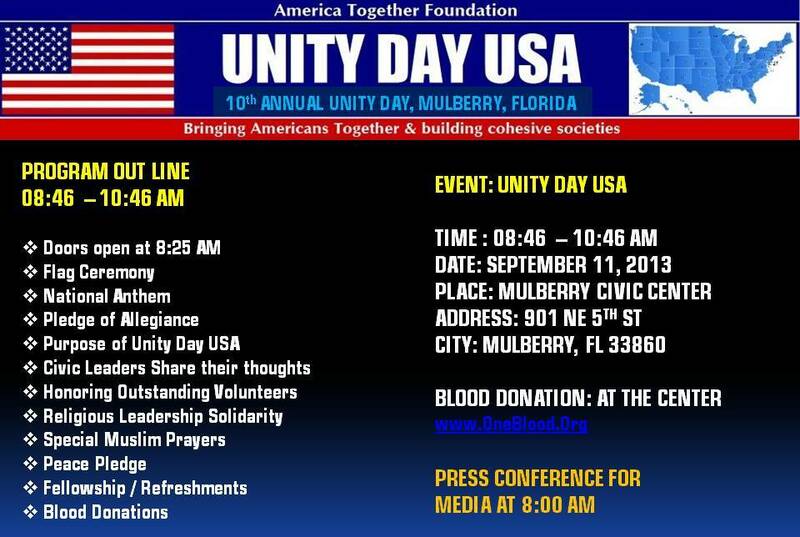 We the Muslims have been talking about developing unity amongst us; well it is time we take that step now. Each one of us, Insha Allah can make the effort to bring at least 5 representatives from each one of the following traditions; Ahmadi, Bohra, Ismaili, Nation of Islam, Shia, Sufi, Sunni, Wahhabi and every one that we will learn about as we move forward. If you jumped at the inclusion of any one of the names in the preceding sentence, we need to talk. We want you to share your views, not the recycled ones, but fresh ones that forges unity among us. The gathering will test our ‘talk’ of unity with our ‘reactions’ to it, when it really has a chance of happening. It will also test our abilities to accept the otherness of the others who differ from us. Why do we need to be together? Each one of us can bring different ideas to the table, the core idea is to find solutions to our own issues, do we have the room within our thought process to accept the diversity from within? If we are not tolerant of each other, then how can we expect others to be tolerant? Together can we do things that are good for Muslims and good for the world and stem the growth of reciprocity. The problems some Muslims may have encountered and some the future generations may encounter can be looked at, to find solutions by pooling the resources. Every thing in life begins with you and me, and each one of us reading this material ought to feel the responsibility to do his or her share towards good making. Let’s start small; we can take this initiative in each town we live. 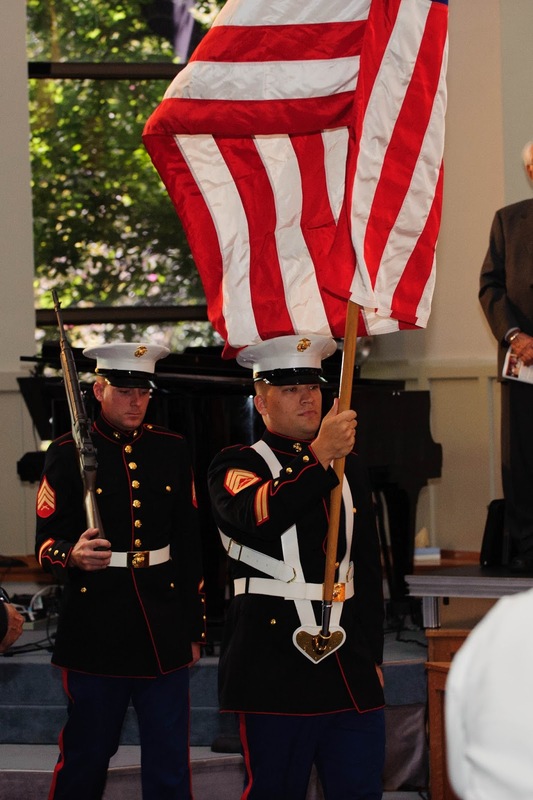 Let’s make an effort and give room to the distrust that has been ingrained in us against each other- i.e., if a few don’t want to attend, let’s not blame them, instead pray that our intentions are pure and hope they would join us in the next meeting. If they can see the purity of our thoughts, I am certain they will join. 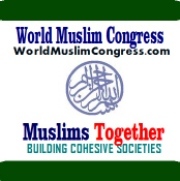 We should come together to consciously create a better world, what is good for Muslims has got to be good for the world and vice-versa to sustain that goodness. After all, our faith is named Peace and we have to act it. For the Dallas gathering, I would like to dedicate this event to Larry Basheer, Imam Shakoor, Maryam Ruhullah, Marzuk and Alexis Jaami, Imam Zia Shaikh, Imam Dr. Yusuf Zia Kavakci and Rizwan Sheikh who are relentlessy working on promoting goodwill and understanding between various communities. We need to start planning to meet as soon as we can, and plan on having the "Muslims together" gathering to be held on first Sunday of Ramadan and conclude it over Iftaar. You can imagine the good things we can do. Let’s start with a group of about 30 people in each community and build from there. 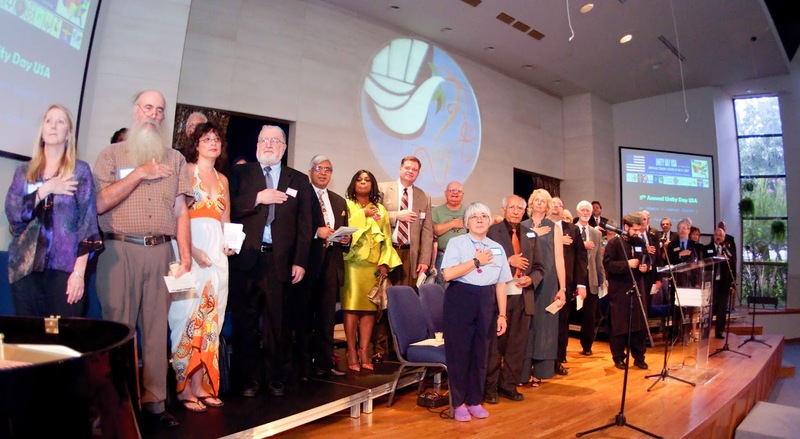 The group's formation is not about the historical or theological aspects of religion, it would simply be about the civic aspect, the rights and duties of individuals to each other for our own good and the good of others around us. We have to sow the seeds that benefit the future generation and perhaps our own when we retire. Together we can create a lot of good. Muslims together is to be made up of any Muslim, scholar or not, but certainly from every tradition to come together to explore the goodness we can generate for the benefit of Muslims and others. This is not an organization to compete with any one, it is simply to encourage unity among us. The separateness that our smallness has created needs to come to an end. Think about it, do others have to be wrong for us to be right? 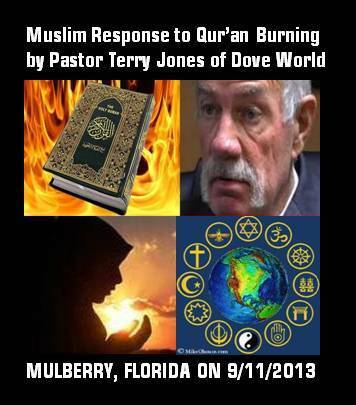 I will ask the Muslim Council of Mosques in Dallas to take this project, I hope they can make that time. Otherwise, any one of you can come forward and take this initiative forward. It is not any one's responsibility, it is yours and mine, if we feel it. Praise the Lord, Alhamdu Lillah. A lady in her sixties dies in a car accident and was pleading with God, as to why he did not give her life to serve him more and serve his creation. After the amount of begging she did, God wanted to give her a break and said “Ok, you have a good record of serving my creation and I will grant you another 20 years of life”. The lady was all happy and upon reappearing on the earth, she dashes to the best cosmetic surgeon in the town and asks him to make her look like a beautiful young maiden of 45. So the surgeon does the work, she looks in the mirror, fully satisfied and thrilled how beautiful she was, out she walks. As she stepped out on the street to cross over to the parking lot, she got hit by another car, and went back in God’s presence; she calls him all the names for not keeping his word. She questions the almighty, why did he promise 20 more years and killed her the moment she was ready to live for another 20 years. She was proud that she looked like a gorgeous young maiden. God looks at her with sympathy and speaks; do you know what? God says: I did not recognize you. Applying that idea to Muslims. When we gather around on the Day of Judgment and God calls out: Next? And you walk up to him and say ‘Sunni Muslim!’, ‘Shia Muslim!’ or ‘Ahmadi Muslim!’ Prophet Muhammad may perhaps be surprised and ask, What Muslim? What did you say? Folks it is time to shed the arrogance of being right. Several times a day, we recite ‘Malik-i-Yomiddin’. i.e., God alone is the judge of humans and he alone is the master of the day of the judgment. If we get our religion right, we would refrain from judging any one. Meaning, we don’t want to become God and start judging others. God knew, some of us are thick headed, and that is why he made 17 units of prayers ‘fard’ or ‘obligatory’, and with Sunna and Nafeel, we utter ‘Malik-i-yomiddin approximately 51 times a day. We also utter Bismillah at least twice as many times if not more. Do we not get that into our system? One Mufti from Mecca declared that the Shias are not Muslims, and likewise a Shia scholar matched with the Mufti to declare Sunnis are not following Islam. And some of us declare that Ahmadi Muslims are no Muslims, we even make their lives difficult. The relationship between you and God is to bring humility and balance to ourselves and what surrounds us. Evil exists because Good men do nothing about it. 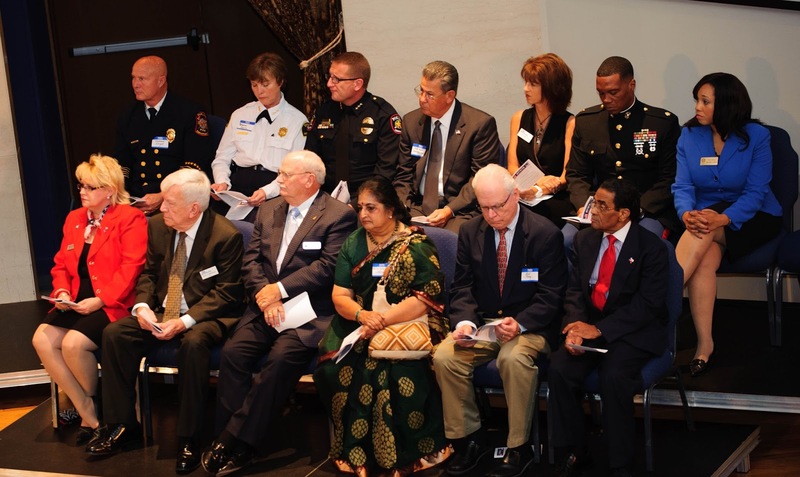 It hurts me to read the comments from Larry Basheer; I have heard similar comments from Sri Lankan, Filipino, Bangladeshi and Muslims from around. Who the hell are we to say to others, that they are less Muslim than us? Who grades us? What kind of Arrogance is that? We have to shed this. Shame on any Muslim who thinks other Muslims are less than him or her. In Allah’s presence, we are all equal except when we are drenched in Taqwa; Piety – those who are; never think they are superior to others any way. Did we not get the message of the Prophet that no one is superior to the other…. except in piety. There is a whole verse about it, do we get that? Let's not encourage any one to say those words, stop them in their tracts and let them not perpetuate it. If you disagree with me, please say it so rather than asking me if my father knew Arabic or if I have a degree in Islam or if I went to an Islamic seminary or if I am a converted Muslim or how many chapters I can recite or even ask my tradition I belong to. First of all, No one has that right to question me or any Muslim about it, that is a dumb trick to judge, and claim superiority over the other. Neither Muhammad (pbuh) nor any one of his associates had a degree, let alone schooling. This may be one of the reasons in God’s infinite wisdom that the Prophet was an Ummi; non-literate to prevent us from being arrogant and judgmental about others based on every factor including education. God has blessed the Muslim community in Dallas; by and large we have made attempts to get together. The first such attempt was made on Unity Day USA in 2005. Three pictures are posted above representing every tradition. 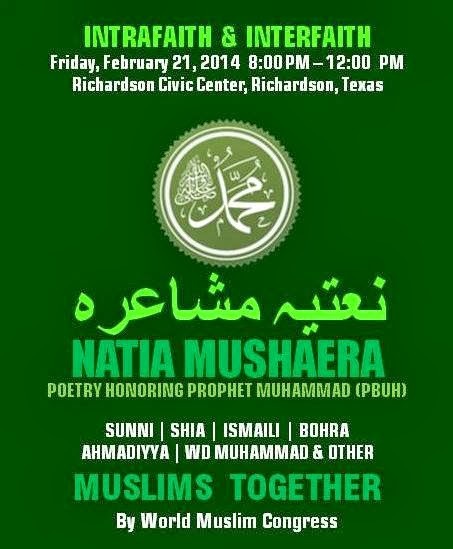 This invite is going out to Muslims of every traditions that I know of in Dallas and randomly across the United States.